Published On Saturday, April 23, 2011 By admin. Under: Featured, News, Only Fools and Horses, Rock & Chips. John Sullivan died aged 64 today. We are stunned, we take this opportunity to pass our condolescences to his family. John was a genius. Britains greatest sitcom writer. John died in hospital after a six-week battle with viral pneumonia. He leaves behind his wife, Sharon, two sons, a daughter and two grandchildren. Londoner John got his first job at the BBC as a scene hand at the age of 16. It wasn’t long before his writing talents came to the fore and he was given the break he needed with a pilot script for Citizen Smith. At the moment we want to leave the rest of this page for the fans to put their messages here where John frequently visited. This news is heart breaking , what a guy ! I am forever great full to John . It’s soes not seem real ! i think the bbc should finish rock n chips as a tribuite to the legand that was john sulivan, i mean there is so much more to come freddy hiding hes gold , albie little wood takeing the short cut across the railway line and loads more personally i think they should carry it on as a tribuite !! I agree, I also think it could/should be written by fans collectively. I’m also a big Dr Who fan. You’ll find that most of the writers on that show now are die hard fans of the old series and know exactly how it should look and sound now. Would love to see more rock n chips! If there’s anyone that should write the show it should be his son. Since he’s a writer and has worked on GGG. I do wonder if John had written more episodes of Rock and Chips as well as this rumoured Only Fools 30th year special. I think the death of john was completely terrible, all the laughs and fun times i had whilst growing up watching only fools and horses was really remarkable, even now i always make a silly commit that goes back to the episodes haha. I think that rock and chips is the first actual prequel that actually went good in all of filming history, it has laughter and relates so much to the sitcom that we all heard about throughout the entire show, i think that there must be a fourth episode and i dont think that it should die with john R.I.P. I think he would absolutely love it if hes family, friends, and fans honor his name and complete the season. Dont ruin it by making a USA version of it, hold up whats that noise ??? oh dont worry its only john sullivan turning in his grave because thats what hes doing right now over this stupid USA remake, its our sitcom not theres and there gonna ruin one of the finest things Britain has ever produced. I think it would be great if everyone came together and finished the sitcom, there is so much more left of the series that only a true only fools and horses fan will know about. when freddie hides frogs gold. when jelly kelly sits on the detonator and blows him and freddie up. The time del dates june snell and she sleeps with alfie littewood but he gets hit by a train crossing the rail tracks. And wouldnt it be so funny that on joans death bed she actually says all the things that del says to rodney i mean come on that would be hilarious as we all think hes joking about but if it was true that would be a great scene. And theres so much more left, the building relationship of two brothers how del brought rodney up and took care of him, and also sent him round selling them dodgy gas cookers haha theres so much to do and i think in john sullivans honor someone must do it, its what he would of wanted im sure of it. I t just cant end with del on a bike riding away, its too soon i just wish i was a director or someone important so i can make this happen because it would be amazing and completely fun to do. I hope someone important notices this before they give up on it completely. Outstanding talent who will be greatly missed. There will never be a greater show than only fools and horses. I watch it everyday and still find it as funny now as I did 25 years ago. The show was good, seeing as it was quickly made. Thought it should have details about how he got into the BBC and so on. thanks for the best comedy show ever made. You have had a big effect on my life…… OFAH has been the central point of many a discussion and the one liners were magnificent. Say hello to the other Jolly Boys up there John. RIP and love and good wishes to your family. never get fed up watching fools and horses and dear john. wish i wrote to mr sullivan before he left us just to say thank you . so very very sad. Thank you john for the days that were bad made much better by watching only fools im gutted comedy that touched the heart of children as well as adults, time will never fade your work i will still be laughing in another 20 years and then some. Im gutted feel like we have lost a good friend im so sorry for johns family. May God Bless You and I send love to you and your family at this sad time. Me and my family will alwayds have praise to you for the laughter you gave us. You are and always will be a writing genius and a legend in our hearts. My life from now on will be lacking so much new laughter. I’m just thankful that the old laughs will never stop. You’ve earnt your status as a writing legend. John Sullivan , a man although now gone , shall never be be forgotten . His work , his talent , his ability to make us laugh, cry and to care about the characters can only be seconded by Shakespear himself. God bless you John and thank you for the amazing memories you have left us. John Sullivan was one of the best comedy writers and a true genius of our time! He leaves a true legacy and his comical magic will always live with us as he proved so powerfully in his timeless sitcom “Only Fools and Horses”. A brilliant peice of music only for you Mr Sullivan. If Jim Sullivan has the talent of his Dad, (which I’m certain he has), then the ‘Sullivan’ genius will never be lost! Rest well John, your comedy genius has brightened the hearts of millions across the world. You will be sorely missed. My thoughts are with the family and hope they’re coping as best they can. Felt i had to write, Local boy did good!! met john at the live recording of Heroes and Villians, at the beeb, chatted to him like an old friend, i will sadly miss one of my all time heroes.The world is a little sadder place, but i bet they are having a good giggle in heaven. John Sullivan gave me decades of laughter and enjoyment with his wonderful writing. Citizen Smith, Roger Roger, Just good Friends and of course, the real ‘Creme de le menthe’ Only Fools and it’s subsequent Rock & Chips. No other comedy has touched the nation like Only Fools, the writing, the pathos the humour was top drawer. Thank you John for the happy times you gave me and millions of others. May you rest in peace. Ever since we are able to watch the BBC in the Netherlands, around 1986, some programmes stood out from the rest for pure enjoyment. They have ‘John Sullivan’ in the credits. Only fools was, is and always will be the best sitcom every to be show on TV and I will continue watching my box sets for many many years to come. Likewise Rock & Chips has to be the best thing the BBC has broadcast in many years. Your tallent will be sorely missed. WATCHED ‘ROCK & CHIPS – THE FROG & THE PUSSYCAT’ & IT AGAIN HIGHLIGHTED THE WONDERFULL CREATIVE WRITING SKILLS & HUMOUR OF JOHN SULLIVAN (GOD REST HIM). AS THE CLOSING CREDITS CAME ON I STOOD UP & I APPLAUDED WITH A TEAR IN MY EYE. I HOPE JOHN’S FAMILY ARE BEARING UP & MY THOUGHTS ARE AGAIN WITH THEM, THEY MUST FEEL SO PROUD OF HIM. I WOULD LOVE TO SEE JOHN’S SON JIM TAKE OVER WRITING MORE EPISODES HOWEVER IF THIS IS NOT TO BE THEN I LIKE MILLIONS OF OTHER FANS FULLY UNDERSTAND. JOHN HAS LEFT US WITH A TREASURE TROVE OF LAUGHS & HIS MEMORY WILL LIVE ON FOREVER THROUGH ‘ONLY FOOLS & HORSES’ & ‘ROCK & CHIPS’. ‘JOHN SULLIVAN – GOD BLESS YOU SIR’. I have just watched Rock n Chips and saw the the In memory of John Sullivan at the end and was gobsmacked!!! RIP sir, u have made us all laugh for years and will remain so for many years to come………………. Thank you for comedy we all can relate too! Well done on the latest Rock and chips episode it had so much humour as i expected it to be John. I was only watching series 3 of OFAH last night and will carry on wathing OFAH and Rock and chips until my final days. Make sure your looking down on your family in there time of need. RIP John. You were a great writer, and Only Fools and Horses was/is one of the best written TV series ever made. I hope this won’t have any effect on Rock and Chips, because it was just starting to get interesting before this horrific tragedy struck. God this news was unexpected, only heard about it when I was waiting to watch Rock and Chips and the announcer said Sullivan was departed. Ah well, his legacy will be remembered forever in his brilliant TV series. Only Fools and Horses is a comedy in it’s own right. 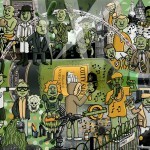 Original,emotional,funny and in touch with the real world with it’s scripts and the way real people from London are. Like so many tributes i will put my own.. Whenever i need a pick me up it always helped and Del Boy as the character represents eternal optimism – we need more like that. John Sullivan – Thank you for fantastic comedy and my thoughts and love are with your family at this time. R.I.P John Sullvan. you will be greatly missed. you are the most amazing comedy writer of all time. So shocked and saddened by the passing of John Sullivan – the best comedy writer that our country has been blessed to have. My deepest sympathy goes out to his family and friends at this dreadful time. John produced many excellent shows during his remarkable career, but for me his finest was our beloved Only Fools and Horses. It was sitcom perfection in every detail – whether it be the carefully crafted scripts, intricate and ingenious plots, unforgettable catch-phrases, emotive background music, the clever use of words for each episode title (often humourous in themselves), or the wonderful actors who have brought such loveable characters to life. Like so many people I grew up with Only Fools, and I’m grateful it has been part of my life. It’s such a shame that John will not be with us to celebrate the show’s 30th anniversary in September, and I know he had much more to delight us all with the continuing story of the 1960’s Trotter family in Rock & Chips. I’m looking forward to watching the third episode tomorrow, and though I’ll have tears in my eyes, I know John will have written some funny one-liners to make me smile again. Within the episodes of Only Fools, John celebrated the joys of life and showed us how to cope with the difficult times, but most of all to value the things that money can’t buy – the love and support of family and friends. Although I’m upset that we’ve lost John, I know he’s in heaven writing more scripts and creating much giggling from inside those pearly gates (or perhaps they’re now a luminous yellow?!). Thanks for the laughter John – it was your precious gift to the world. God bless. You was a true legend john, the very best in comedy writers, you brought the best comedys to our screens , your legacy will live on. Simpy the sadest news this year, thougts to his family. Thanks for all the smiles John. John Sullivan has left such a legacy behind that even today the famous sitcom Only Fools and Horses is still being watched by millions. Through Sullivan’s writing we have shared tears of joy, tears of Sadness and also tears of much laughter. John’s clever writing ability in my estimation has set a bench mark high in which only some sitcoms has come up to scratch since. My deepest condolences to the Sullivan family…. John – Thank you for filling a large part of my life with your amazing sitcom. Such a huge impact on all of us. So sad to see you go. Too soon. I am truly saddened by the news of John Sullivan’s untimely death. My deepest sympathy goes to his family. Through his writing John Sullivan gave a gift, a gift that can rarely be equaled. Only Fools and Horses has been a massive part of my life for many years, the range of emotions I feel from watching just one episode is the mark of a gifted writer, a genius!! We have lost one of the greatest writers of our time, he gave us Del boy and Rodney and so many more. Thank you John Sullivan and bonjour!! So so sorry to hear this terrible news. You were single handedly responsible for more laughs in my life than anything else. My family are from Peckham and when OFAH hit the screens in the early 80’s it was massive for us. I spent most of my childhood like many many others, wearing out video tapes watching video recordings over and over again. Simply brilliant, you were a genuis John, a humble genius. Your work wasn’t just funny, you combined comedy with tragedy so beautiful. You will be making everyone laugh for decades to come. Rest in peace. Thank you John for all the laughs. Was shocked and saddened at the news of John Sullivans passing. What a genius that man was. He even wrote and sang the theme tune to OFAH as well! God bless to him and his family. A very sad day when we heard John Sullivan the best comedy writer in Britain has passed away. Can’t believe it !! Our thoughts go to his wife and family at this time. Only fools has cheered us up so many times within our lives and even our 8 yr old daughter is totally hooked on it. He was a genius and a true legend, and will be sadly missed. I loved only fools and horses, just like the next person, ive setup a mini fan page on facebook for his work, as a sign of respect. Can’t believe it! What a shock! And on the 30th anniversary of Fools and Horses the jewel in his crown.Comedy will never be the same again.Best wishes to Johns family,thankyou John for the very best comedies ever written Pure Genius!! John’s ability to also make me cry or feel empathy that is so rare and makes his craft so truly special. All too often we only really appreciate greatness when it is gone and sadly that is the case here…….BBC I sincerely hope that you have some sort of tribute in the planning……thus far the response has been woeful. Thank you John Sullivan sir for sharing with us all memories and laughs that will stay with me forever. Bit of a shock to hear this, not heard anything on the news. Very Sad. ‘JOHN SULLIVAN – A GENIUS & A LEGEND’. MY DEEPEST THOUGHTS & SYMPATHY GO TO JOHN’S FAMILY AT THIS SAD TIME. WHENEVER I’M FEELING DOWN I PUT AN ‘ONLY FOOLS & HORSES’ / ‘ROCK & CHIPS’ DVD ON & THANKS TO JOHN’S BRILLIANT WRITING I’M CRYING WITH LAUGHTER INSIDE 30 SECONDS – ‘GOD BLESS YOU SIR – YOU’LL NEVER BE FORGOTTEN’. it would be nice if the BBC did show some respect to john sullivans work in particular ‘only fools and horses’ and release a complete only fools boxset without all the cuts, also release green green grass series 4, it would still be nice to see a 5th series of ‘green green grass’ which could be written by johns son who has written quite afew episodes on series 2 to 4, what do other fans think. Absolutely!!! come on BBC you owe it to John the GENIUS. R.I.P. John, you were undoubtedly the best television writer to have graced us with his work. From Citizen Smith to Only fools, only on Saturday i was saying to my dad, i love all of John Sullivan’s work. You will never be forgotten, thank you so much for bringing Only fools and horses to our tele, along with your other great creations…. Del: One of my most favouritist meals is Duck à l’Orange, but I don’t know how to say that in French. Del: You can say that again bruv! Just wanted to add my condolenses for the friends and family. Like everyone else I loved John’s work. Not just for the comedy (which was of course perfect) but also for the strong sense of family that the stories invoked in us. John was able to bring a tear to our cheeks. Del would do anything for Rodney (taking a beating etc)or the moment at Rodney’s wedding reception when Del realises that things will never be the same again. Writers often hit us with a funny gag but moments like these are as rare as hens teeth. Thank You John. The country has lost a legend. There will NEVER EVER be anyone like the great John Sullivan. I feel as though I have lost a personal friend. My sincere condolences to all his family abd friends at this sad time. So deeply saddened to hear of the untimely death of John Sullivan, growing up in South London, the characters in OFAH are so real to me I feel I almost know them. Can’t belive that we have lost someone so talented as John, he had such an amazing gift with empathy. He would have us laughing one minute, then nearly crying, then suddenly he would turn everything around yet again, and have us in tears of laughter. Although I never had the privilege to meet John, I feel I have lost a very dear friend. His catchphrases have become so part of the English language, that his legend will live on forever. I watch OFAH all the time, and will continue to do so, as it has the ability to pick you up, if you’ve had a rotten day. Long live the legend that is John Sullivan. My sincere condolences to all his friends and family. So deeply saddened to hear of the untimely death of John Sullivan. He was without a doubt one of the greatest comedy writers of the last 20 years. I grew up in South London, therefore whenever I watch an OFAH, I am surrounded by the same sort of characters that I can remember as a little girl. John had the amazing ability of empathy, he could have us ‘crying with laughter’ one minute, then ‘almost crying’ the next minute, then he would somehow turn it around again, so the situation became comical. I am an avid fan of OFAH, for me it has the knack of making you feel good, even if you’ve had a rotten day! I would like to take this opportunity of expressing my sincere condolences to all John’s family. There is going to be a huge void in the world of light entertainment, now he has been taken from us. Creating such amazing catchphrases, that have now become part of the English language. RIP. You shall be missed. There is no reason why Rock & Chips can’t continue, everyone knows the backstory and the kind of humour that is wanted. We have over thirty years worth of references to look at. I’m sure John would want this story to be told. I would like to think it could be done, maybe David J, Nick L, John C and Roger LP along with Jonh’s son could come up with just one fitting final episode that they all appear in (as cameo’s? ), but at the same time I also feel that without Johns input it just wouldn’t work, and will be critically panned. Maybe it should just die with him and and we should count ourselves lucky with what he has left us. John Sullivan RIP your like will not be seen again, especially in this PC hell hole we now live in. A big thank you for all the laughs. My condolences go out to Johns family and friends at this sad time. When I woke up to this news on Saturday I was absolutely gutted. I don’t engage in the Only Fools fandom much, but the show remains probably my all time favourite television show of all time. I never tire of watching it. I must have seen all the episodes countless times, but I still pop the DVDs in when I am feeling down in the dumps or emotionally sensitive. It always picks me up like nothing else ever did. Only Fools was a masterpiece. Not only was it a show about normal people, warts and all, but it was a show that allowed the average person to finally associate with what they were seeing on screen in a way that past products like the Carry On films never could. Granted, Del and Rodney always found themselves in absurd and over the top situations, but the core of these characters were very human and very much like real, everyday people. They made mistakes, messed up at times and made some silly choices, but at the end of the day these characters where more human than anyone else on TV because when they were failing or messing up, they never lost their heart. You always knew that Del and Rodney were decent, salt of the earth people. John Sullivan had a talent that I have never seen since on screen. He had the wonderful ability to take even the most side splittingly funny scene and immediately turn it into a tearful and emotional rollercoaster, and vice versa. There is simply nobody else who has managed that, and, aside from perhap’s Ricky Gervais’s The Office, there has simply never been anything else written with such skill. Only Fools was lightening in a bottle. 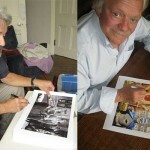 There was a special formula about the combination of John, Nick Lynhurst and, of course, David Jason. This was polished off by the finest supporting cast that has ever been seen, particulary the late, great Buster Merryfield. Everyone fit their part so perfectly and made these wonderful words truly come alive. Perhaps that’s why Rock & Chips could never be as successful as Only Fools, or as an out and out sitcom. That magic formular just couldn’t be matched without the core ingredients. Probably like no other people in entertainment the cast and crew of Only Fools and John himself have given me many hours of laughter, tears and, in a way, emotional support. Without John we never would have seen it. I owe him a major debt like no other person I have never met. May he very sincerely rest in peace. Without doubt the greatest comedy writer this country has ever produced. John has left us with comedy that will live on forever. Thank you john for give us so many laughs. I am in absolute shock to hear of John Sullivan’s untimely death. He was the finest comedy writer of our time – a writer with a unique talent for his craft. He had a style all of his own. His ability to construct a gag, be it through the course of a scene or simply within one sentence, was phenomenal. He clearly had a way with the English language that set him apart from other writers. It was obvious from the material he wrote for the Two Ronnies, namely the ‘Racing Pigeon’ sketch, that he had certain writing mannerisms in terms of, for example, the way characters would get words mixed up and this is certainly something he would take with him to Only Fools and Horses and Del Boy’s character. And that’s another important aspect of John’s work – his ability to create unforgettable characters who, particularly in the case of Only Fools and Horses, grow and mature over time. His writing gave pleasure to millions and this great man will be sorely missed. My heartfelt condolences to John’s family. Terrible and shocking news. John I owe you tens of thousands of laughs. The most humble of geniuses and a true gentleman. A 42 Carrot diamond as Del might say. My thoughts are with his family and friends. Rest in Peace. I just want to thankyou for making me laugh more times than anyone i know. You will always be the greatest, and OFAH will live on forever. You created a timeless masterpiece that will continue to make the world a happier place. Heaven have gained one of the most talented and amazing people ever and John`s family should stand proud at the joy and happiness he has brought to people over the last 30 something years or so in his comedy writings and i for one am thankful for many hours of viewing and want to end with R.I.P you amazing wonderful man. RIP John Sullivan. One of the country greatest comedy writers, thank you for making me cry and laugh with OFAH. You’ll be sadly missed! I can’t wait for Rock and Chips on Thursday, and I really hope it can continue afterwards!! As del would say Bonjour! Rest in peace John we have lost a true legend. you will never be forgotten. So sorry to hear this. My thoughts are with John’s family. OFAH has given me many hours of happiness and laughs over the years. I don’t know what to say i am devestated, i feel like i have lost a part of my family, John you brought us so much pleasure as an audience and will continue to even though you have passed on, through your work, and you will continue to get new fans of classic sitcoms like Only Fools And Horses, Green Green Grass and Rock And Chips, you will never be forgotten and always loved for your classic funny scripts thanks for making my life a lot more fun through your scripts. As an aspiring comedy writer I have always looked up to John Sullivan. He was without doubt the greatest British comedy writer this country has ever produced. John had the rare gift of making people laugh one minute and then having them in floods of tears the next. His writing came straight from the core of his heart and if I ever achieve anything John did I will owe it all to him. Rest in peace, John. A great writer. He left us a lot to laugh and remember him by. ..Such sad news, thank you John for every laugh you ever gave us and especially for all the future ones i will have with my little boy.. only last night i switched on and was so pleased to escape to familiar old friends in light of recent difficult times, .. That’s your legacy John you kept us laughing through the darkest days… And i sincerely hope the words of this forum will give some small comfort to your family through this difficult time. Thank you for everything. For all the laughs from Only Fools and Green Green Grass, and for giving me the chance to get work with you and get to know. It is an absolute honour to have been in Rock and Chips and I will always remember you as a kind, talented, welcoming man. I was in a show last year that needed a number of celebrities and famous names to contribute to its promotion and John very kindly contributed. From what I knew of him, he was a very giving man which I’m sure we have all seen over the last 30 years as he gave us so many laughs. I am from Croatia and the series here is the part of the special phenomena. Only Fools and Horses first started to run somewhere in the middle of 1980’s in the special night program on state TV called “Program Plus”. The first episode that I saw somewhere around 1985-1986 was a canary episode and I was immediately hooked. In the times when VCR’s just started to appeared more widely on the market and were still very expensive, I used to record audios of episodes with the cable connected between my TV and SABA cassete recorder. Later I played the tapes for hours. When I was in basic school we often use to comment the episodes between classes. What a great and nostalgic times those were. During the years there were many reruns of Only Fools and Horses here on Croatian state TV and series become big phenomena and has a very special place. 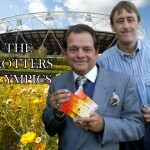 Everyone knows about Trotters and people simply love the series so much here. The translation of the series title is different in Croatia. Translator Tomislav Pisk in the 1980s translated the series as “MUCKE” which would mean on english something like “FRAUDS”. Thank you John Sullivan for everything that you done. You have enriched so many lives and you are real inspiration. Series has such a legacy. Sullivan’s scripts and work offer so much material for study and learning for people that are inolved in media and television which is a case with me too. I do wonder what will happen now with Rock and Chips. The latest episode is scheduled for this Thursday. Thank you John – FOREVER! i would like to thank mr sulivans family for such a brilliant comedy writer i had a brilliant time watching only fools n horses and rock chips .everytime i felt down or i had a bad day i would watch only fools n horses and that would make me very happy .i look forward to watching rock chips on thursday . johns family are in my thoughts and prayers .im sure john will be sadly missed by everyone who watched and worked with john . The world will be a much sadder place without you. Your outstanding scriptwriting brought so much laughter, joy and pleasure to so many people. What a sad sad day, I have grown up with OFAH and am so shocked to hear this news. I pray that the work of Rock and chips continues, I think it is amazing, I can’t wait to see the new episode. RIP John and thank you for making me laugh and cry!!! The only days I never watch a fools and horses episode is when I am on holiday. 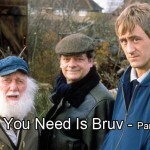 Fools and Horses are timeless classics in every sense – comedies you can watch over and over again and will make you laugh as much as when you first watched them – a gift of making the nation laugh and bringing a smile to those going through tough times – thats your legacy John and what a wonderful legacy ut us. Greatest sitcom writer that ever lived. My sincere condolences to the family. Thanks John for making me laugh for many, many years. Rest in peace. The list of characters just goes on and on and on everyone a true gem,all unforgettable and memorable and were always part of the very best television that i grew up with,and that through the years people all around me talked about,knew and loved. I am still in shock at this. Why did that man deserve to go at 63? I am very upset at the moment , I feel like I’ve lost a member of my own family. Thoughts and prayers to John , his family , friends and colleagues. Please I really hope the Only Fools And Horses prequel Rock & Chips episode The Frog And The Pussycat is not going to be final episode because I think there are still lots more stores that needs to be told about the Only Fools And Horses prequel Rock & Chips in the near future. Knowing about the very sad news about The Only Fools And Houses writer John Sullivan who died yesterday at the age of 64, If the Only Fools And Houses prequel Rock & Chips was going to end because of writer’s death that would be a very big shame and it would be preity low to because no one will never know about what would of happened in the story if it ended so soon. Maybe John Sullivan’s son Jim Sullivan should take over from John Sullivan because didn’t he write The Green Green Grass? R.I.P John Sullivan you will be very sadly missed. A true talent of which I doubt we will ever see the calibre again. His skill at mixing comedy with pathos was pure genius. Thank you for giving us Only Fools and Horses. john many thanks for all the great years of viewing there is not a day that goes by where only fools and horses in not played in my home.im delighted i got to bristol in 2009 to see some of your wonderful work and meet the gang.god bless you john may you rest in peace…………stephen from dublin……………. When I heared the news I was devistated. To know that my favourite writer has sadly passed away. He was without a doubt a legend! He made the whole nation Hysterical with his work. There is also a great shame to think that there will be no more rock and chips prequels or a one off only fools and horses special. Or if there was, it wouldnt be the same with a different writer. englands very best comedy writer gone at 64 way too young, no more ‘only fools & horses’, ‘green green grass’, ‘rock & chips’,i doubt we will ever have a writer with john sullivans talent again, R I P .
What can we say? Britain has lost a true great! John Sullivan had the very best way of combining humour with tragedy. He knew what made us and what made us cry and then blended them together to creat masterpieces. I was fortunate to meet him just before the last filming of Only Fools and he asked me who I was and then said he was very pleased that there were some people there from the Appreciation Society. He said he was very nervous about how viewers would take the last episode of OFAH …Sleepless in Peckham. Needless to say I assured him it would all be fine … and it was! Many Thanks John! This is heartbreaking news. RIP John Sullivan – always in our foughts. The word comedy genius gets bandied about a lot these days, but John was a TRUE comedy genius. There is no other sitcom in the history of British TV that comes close to Only Fools & Horses. It was loved by millyons of us and Thurs Rock & Chips is going to be a very emotional episode under the circumstances. I remember for Christmas day 1985 my Grandad bought us our first ever video recorder as that was the Christmas Minder went head-to-head with Fools at the same time. He and my Dad spent all day trying to get the vcr to work but with no luck. (it must’ve fallen off the back of a lorry going round the bend in dusseldorf). As a result there was an argument about whether to watch ‘To Hull & Back’ or ‘Minder of the orient express’. 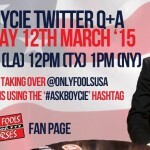 (Thankfully we went with fools). Then 18 months ago when my grandad died the hearse and cortege came to the house but couldn’t get out of the street because there was a bin lorry blocking the road! It reminded us all of the bit in ‘Frogs legacy’ when Rodney’s leading the funeral cortege down the one way street and they all get stuck. Although none of us were in the mood for laughing at the time, later that day at the wake me and my cousins were talking about it and it helped put a smile back on our faces and come to terms with our loss. Having a awful childhood in the early 80’s there was this incredible funny comedy show about two brothers and there grandad, this show took the pain away and made me laugh. John i thank you from the bottom of my heart that you created this successful show which made millions of people laugh, smile and cry. You was TV magic, you turned things to gold in everything you wrote and that will last for eternity. R.I.P John Sullivan and condolences to John’s family. Gone too soon, but you’ll never be forgotten great man. RIP. Just wanted to add my condolensces to John Sullivan’s family. Couldn’t believe the news when I heard it yesterday. When I heard the news yesterday I felt a genuine deep sadness. Only Fools and Horses was playing on the telly as my eldest daughter came down and told me the sad news(ironic that on the telly Cassandra had just got the call that Uncle Albert had passed away). Like many others, I didn’t know John Sullivan yet still my eyes filled up and my heart sank. This man had brought to our lives some characters who we’ll never forget. Only Fools and Horses helped me get through a bad time with post natal depression over 20 years ago(as did the Green Green Grass during a little down patch this Christmas) and for that I am so very grateful. I hope he knew what joy he brought into the homes of so many people. Rest in Peace Mr Sullivan our thoughts are with your family. Thank you with all our hearts for the many laughs. A legendary man who has brought much love and happiness to our nation but also across the world. My condolences and best wishes to Johns Family and friends! John, Thank you for all those OFAH years! John will be greatly missed. I was devastated when I heard the news yesterday afternoon. He was a gentle man who observed life and built Only Fools on what he saw around him. Time and time again there are moments while watching Only Fools in floods of tears and then suddenly a line comes out that makes me smile and laugh. John taught me how to smile even through the darkest of times. I want to say thank you John for making me laugh either out of crying or to the point of crying. Or maybe I should say “cwying”!↲↲Condolences to your family John and we will miss you. Shocked to hear of John’s passing. You will be sadly missed by many. Thank You for the gem that is Only Fools and Horses – Britain’s best sitcom bar none. It takes a truly rare man to bring so much happiness to so many people. What a fabulous achievement. You’ll be sadly missed John. I have just heard the terrible news, you were a wonderful writer and your legacy to the world is Only Fools & Horses which will be loved by generations of people. Thank you for giving me so much enjoyment over the years, rest in peace. Bloody writers i’m finished with ’em! What do they do to you eh?! Make you smile, make you laugh… and then break your bloody heart. A sad day. I grew up with Only Fools. 4 generations of our family have laughed through countless episodes. I have them all on VHS and DVD. My children call each other “plonkers”. It is the greatest sitcom of them all written by the best writer of them all. 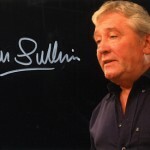 RIP John Sullivan, the man is an absoloute inspiration. Through Only Fools and Rock and Chips he created a world that gripped a nation for 30 years, intensely textured and with a rare beauty and love for the characters that is seldom achievable in comedy. The genius of John Sullivan is in for someone watching Only Fools for the first time or casually at Christmas it is every bit as perfect and accessable as a comedy as it is to a seasoned fanatic of the programme. He’s left a legacy that will live on forever, I hope fitting tributes are given to the man. My thoughts are with his family at this time. Rock and Chips on Thursday night will have extra poignancy. A very very sad day John will be missed by all. Only fools and horses has defined a generation. thankyou John. rip. For some odd reason I decided to check out the website today and was floored when I read about John Sullivan’s passing. My condolences to Johns Family and friends. Today the world lost a wonderful artist! His Only Fools and Horses show provided me with hours and hours of laughter and entertainment. As an American I wasn’t fortunate enough to see all his shows and traditional Christmas episodes until they became available on DVD, I have them all now and NOTHING can match an English comedy of John Sullivan’s caliber!!! I can only wish the BBC will continue Rock and Chips as a tribute to this great man. you were the one of the greatest writers and will be very sadly missed. You have made so many people laugh and smile and you should be very proud of yourself for that. I myself love Only fools and horses and Just good friends! Your writing is pure genius! A legend who will be sadly missed. 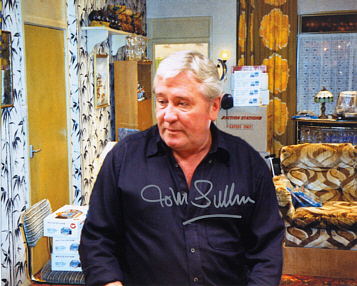 R.I.P John Sullivan, you will be dearly missed, sitting watching Only Fools And Horses now. Thank you for all the years of laughter you gave to the nation, there will never be another as good as you. I hope Rock & Chips can be a good farewell. You will never be forgotten and your legacy will live on. John will be very sadly missed. I’m sure though, that his genius will live on in the next world as well as this. Thank you for the gift you gave us! Abbsolutely devastating news. John was a genius and gave us so much laughter and he enhanced our lives. This has really shocked me, very very sad news to lose our greatest writer of comedies. I still watch episodes of OFAH every day and will probably watch them until my last days. John was such a legend, provided me, my friends and family with so many laughs on OFAH. Let’s hope the BBC arrange a fitting tribute. So sad like many I’ve grown up with John’s comedies and always thought it was amazing he could merge laughter and sorrow seamlessly. One of the highlights of Christmas was always the Only Fools And Horses special. It’s unbelievable that someone who made so many peope happy was never knighted. I agree a great idea to have Holding Back The Years at No 1. I’ve also recently been rewatching Just Good Friends, you almost think you actually know the characters, John’s writing was that incredible. great britain has lost one of its friends today…he was one of a kind and will be sadly missed.when only fools finished i thought that was the end but along came rock and chips.. genius only john sullivan could’ve done it..my wife and kids are also massive fans of john and his work and we would like to pass on our condolences to johns family…. Today we lost the greatest comedy writer of our time. John Sullivan may have left this mortal curl but his legacy shall live on forever. We said bonjour to him too early. This is a very sad day.! But we must try to think about a positive here. Yes we have lost one of the most talented, creative and genuinely funny writers of this or any other generation..but we have been left with such a fantastic legacy. John sulivan has given us comedy moments and characters that will live on both in our hearts and in our DVD players for years to come. Bonjour John and as trigger said let’s hope heaven is open 24-7 and not just at night. 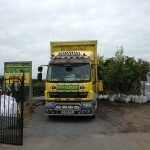 Was watching the last episodes of only fools with my 9 year old son today on gold(he loves it too) .I shed a tear at the end of the last episode as usual.Then thought hmm wonder if there will ever be any more,but then thought no leave it there, green green grass was ok,love rock and chips,hope that continues with many more episodes.Then at teatime heard the devastating news about john sullivan,i am gutted along with all only fools fans(have shed a few more tears),without this man we wouldnt have had del boy,rodney and co.The pleasure,enjoyment and entertainment he gave us was immense, in fact a huge chunk of our lives would not have happened if not for john sullivan.i grew up on only fools and it is a big part of my life.i didnt realise he wrote dear john and rodger rodger which were also great sitcoms.Britain and comedy has lost a great man.i just hope he may have written more rock and chips the bbc can continue with in tribute to him and we havent seen the end of his talent. r.i.p john sullivan, you were the greatest comedy writer ever. such a sad loss. watching rock and chips next week will be very moving and a great tribute to a very talented man. Your episodes of Only Fools and Rock and Chips have given me so much pleasure and laughter over the last 25 years. Every time I watch I am still in fits of laughter. Long live OFAH and Rock and Chips. Condolences to his family. Sixty four is no age. Your gift for writing has given pleasure to millions and will live on for years to come. RIP John, your talent will be sadly missed. Thanks for bringing so much pleasure with your great stories. I hope that Rock and Chips will continue and I cant wait until next Thursdays episode. My condolences and best wishes to Johns Family and friends.